*Due to limited space, the event is only open to physicians and practice managers and no other allied healthcare professionals. AAPC CEU is not available for this workshop. Physicians can earn 1 hour of AMA PRA Category 1 Credit™ CME. TMA’s legal and advocacy experts are bringing their annual legislative report to Nashville. This 1-hour CME session features a summary of their work on Capitol Hill during the most recent sessions of the Tennessee General Assembly, including a detailed analysis of new healthcare laws. Tell us your pain points. TMA’s government affairs team will gather and use attendees’ feedback for 2019-2020 legislative advocacy planning. 1AMA PRA Category 1 Credit™ :This activity has been planned and implemented in accordance with the Essential Areas and Policies of the Accreditation Council for Continuing Medical Education through the Tennessee Medical Association. Tennessee Medical Association is accredited by the Accreditation Council for Continuing Medical Education to provide continuing medical education for physicians. Tennessee Medical Association designates this live program for a maximum of 1 AMA PRA Category 1 Credit™. Physicians should only claim credit commensurate with the extent of their participation in the activity. This event is free for NAM members and practice managers of member groups. 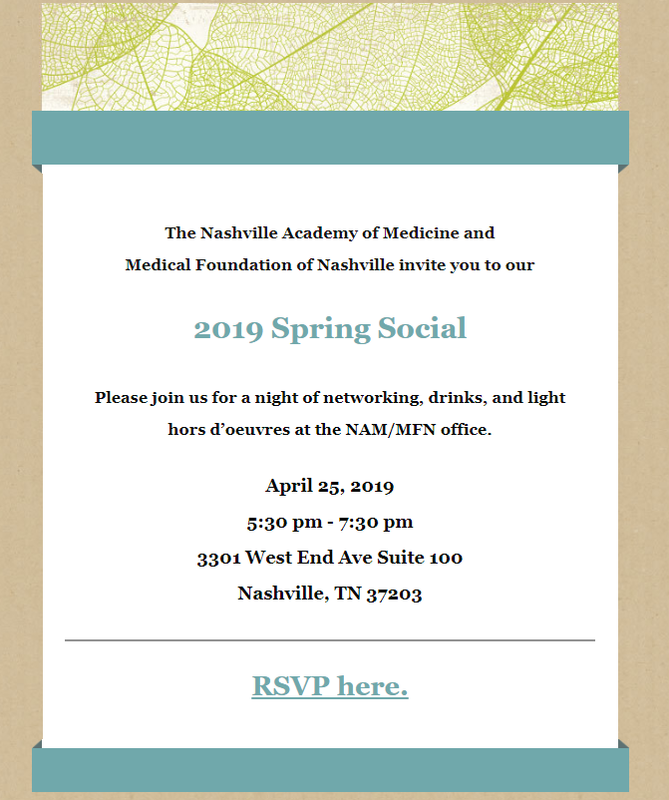 Physician Partners and non-member physicians and practice managers can purchase a ticket below. For more information on Physician Partners, please click here and select Physician Partner.